The number of people arrested crossing the Mexico border into the US has fallen to the lowest level in 17 years. There were fewer than 17,000 arrests of undocumented migrants in March, the least since 2000, according to US Customs and Border Protection. Homeland Security Secretary John Kelly told Congress the decline was "no accident", crediting President Trump. The deadline for contractors to submit a design proposal for Mr Trump's planned border wall was on Tuesday. Mr Kelly, a retired Marine general, is testifying about the figures to the Senate Homeland Security Committee. "We've seen an absolutely amazing drop in the number of migrants coming out of Central America that are taking that terribly dangerous route from Central America to the United States," he told the panel. "March marks the fifth straight month of decline and is estimated to be approximately 71% lower than the December 2016 total - 58,478," Mr Kelly said. "But while this recent decline in illegal migration is good news, we must ensure that the security of our southern border remains a priority to protect the nation from terrorists and other criminals." 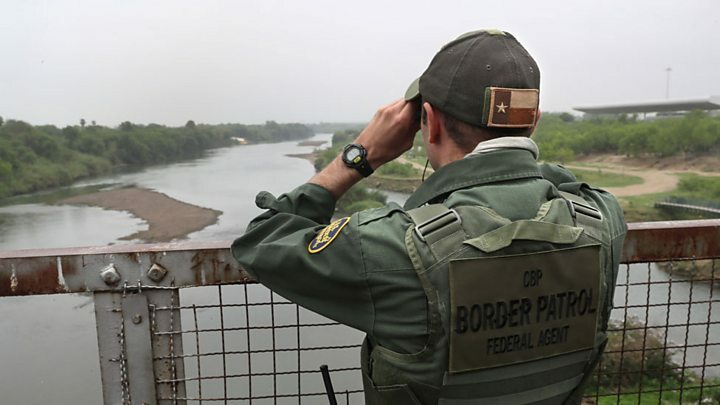 In February, 23,589 immigrants were apprehended at the border, according to data by US Customs and Border Protection. Senator John McCain asked if Mr Kelly's agency was receiving help from Mexican officials. Mr Kelly said the US was receiving "a huge amount of co-operation from the Mexicans". He cited "very, very good relationships with the Mexicans, both on their southern border where they stopped 160,000 illegal immigrants from Central America last year". Mr Trump, a former real estate mogul, has pledged to build a "big, beautiful wall" along the 2,000 mile (3,200km) border. Who is going to pay for Trump's wall? Has Trump started a new deportation drive? 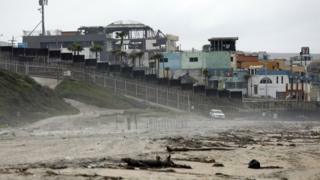 But Mr Kelly told the Senate committee: "It is unlikely that we will build a physical wall from sea to shining sea." He added that sensors, drones and other technology will fill in gaps where the wall will not be present, saying "physical barriers do work if they're put in the right places". The homeland security secretary also told lawmakers the number of families and children travelling alone had fallen, too. He has suggested separating parents and children in order to deter crossings by unaccompanied minors. Officials normally see a surge in crossings following the cold month of January, however, no such increase has been recorded this year. The number of people caught trying to enter the US usually goes up as the weather warms.